All right reserved. No portion of this document may be reproduced in whole or in part without the expressed written permission of the author and/or publisher. In order to understand a doctrine it’s important to know its origin,. Therefore, how did the modern day soul sleep doctrine begin? What is the genesis of the soul sleep doctrine? The Soul sleep doctrine teaches that when a person dies, the body and soul “sleeps” until a future resurrection. This state of "soul sleep” means the person is unaware, they have no consciousness, and they are dormant awaiting their reanimation. They believe the body and soul hear nothing, see nothing, think about nothing and experience nothing. Basically, they believe the soul is in a "spiritual coma" until a future judgment day comes. Some soul sleep believers take it a step further and believe the body and soul both die (cease to exist) and that God will create a new soul and body instead of awakening, resurrecting, and glorifying the old body and soul. This extreme belief in soul sleep is very similar to reincarnation in which a person dies and is recreated again in the form of a completely different person. Are these beliefs biblical or a false doctrine? 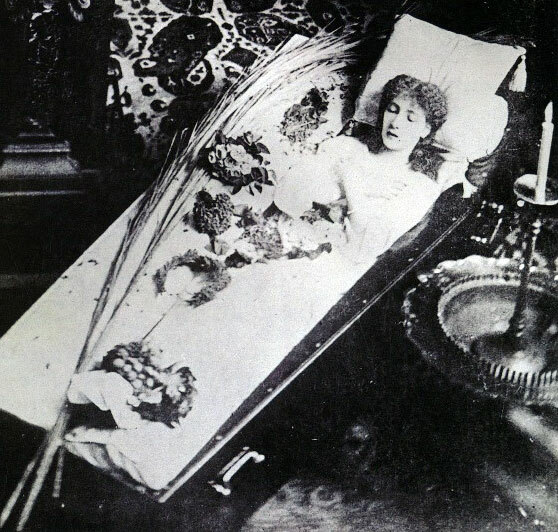 When we see the dead body of a person we once knew lying in a casket, the deceased person looks as if they're asleep. At modern day funerals you will hear remarks about how the person looks at rest, or how they look peaceful. You will also hear friends and family telling the deceased to rest until they meet again one day. Why do people say these things about the deceased? Because no matter what we claim to believe, there is something deep inside us that knows death is not the end nor is it a suspension of our existence. We know that after we die we continue to go on existing. Therefore, the biblical terminology of “sleeping” is not a literal sleep or coma of the soul, but just a description people have used for centuries to describe how the dead body looks asleep. The bible proves that the immortal soul/spirit continues fully aware, fully alert, and fully awake while waiting for a resurrection of the body and becoming a unified immortal spirit, immortal soul and immortal body in a perfected state. A triune man - three becoming one [1 Thessalonians 5:23, Hebrews 4:12, Isaiah 26:9, Job 7:11 and 1 Samuel 1:15]. Yeshua (Jesus) himself makes it clear to us that the terminology of “sleep” does not mean the soul is asleep after death. Yeshua/Jesus made it clear that Lazarus was sick and then died. Was the spirit and soul of Lazarus sick? No. Did his spirit and soul die when his body died? No. Yeshua said Lazarus sleeps, but his disciples did not understand what he meant, so he spoke plainly with them and said: “Lazarus is dead.” Of course we know his body is dead, but did his spirit and soul lived on? Yes. Read John 12:9 - "but that they might see Lazarus also, whom he had raised from the dead." Yeshua raised the body of Lazarus from the dead. The Greek word for raised in this passage is "egeiró" which means to awaken, raise up, rise from. The Greek word for dead is "nekros" which means a corpse, a dead body, or dead tissue, so it refers to the physical aspect of Lazarus (his body). Therefore, Yeshua awakened the "sleeping" [dead] corpse of Lazarus, because the spirit and soul of Lazarus was not asleep, but very much alive. Is there further evidence to prove that the soul and spirit of Lazarus lived on after his body died? Yes. Look at John 11:20-27. In this passage of scripture Martha ran out to meet Yeshua to discuss her brother’s death. Yeshua told Martha that Lazarus will rise again. Martha understood this to mean her brother’s body will rise again at a resurrection far in the future, but Yeshua corrected her, by telling Martha that not only is he the resurrection of the body, but he is the life. Yeshua further explains that anyone who believes in him will not die (spiritually). How can that be true when we see a physical body that is clearly dead? Because the body will die (fall asleep) until a resurrection, but the spirit/soul live on awaiting the future resurrection when they will be united with their bodies now sleeping in the grave. (1) I am the resurrection - Resurrection in Greek being - "anastasis" [to stand up] this word refers to a physical body being raised up. (2) I am the life - Life in Greek being - "zoe" [physical and spiritual life] This is a power that God gives to sustain life eternal. Therefore, the body may die, but the spirit and soul continues to live with the "zoe" from Yeshua who is the zoe (life). Yeshua spoke plainly that the spiritual part of Lazarus is not dead when the body dies. Notice Yeshua did not say he is just the resurrection of the body, but that he is the resurrection and eternal life, which gives life to the soul and spirit. Several time we see the Gospels repeat the message that God is not the God of the dead, but of the living. Note: Prior to the resurrection of Yeshua, Abraham was located in place near hell called "Abrahams Bosom" (Luke 16:19-31). After the resurrection of Yeshua, Abraham was identified among those who are known as the cloud of witnesses that look down and observe us run our race here on earth (Hebrews 12:1). Matthew 8:11 also makes it very clear where Abraham is located: "I tell you that many will come from the east and the west, and will sit down with Abraham, Isaac, and Jacob in the Kingdom of Heaven"
We will look at additional scriptures later to clearly see that the bible does not teach soul sleep. However, what we can see by the preceding is that the term “sleep” describing death can confuse people as it did with the disciples and Martha. Yet, Yeshua made it clear that the term “sleep” really means physical death of the body and not a literal sleep of the body or the soul. So if we can prove the bible does not teach soul sleep then where did the modern belief in soul sleep originate? Arnobius was not teaching soul sleep, but only questioning what happens to the soul after death, “whether it sojourns with us, partaking of death… what awaits us when we shall have separated from our bodies relaxed in death.” However, the modern soul sleep doctrine goes beyond questioning. The modern soul sleep doctrine believes when the body dies the soul sleeps with the body and does not “separate from our bodies relaxed in death” as Arnobius questioned. Therefore, I don’t believe the modern soul sleep doctrine began with Arnobius. I believe we can point to later sources as the foundation of the modern soul sleep doctrine. To be more exact, the modern soul sleep movement is the result of the Millerites, a movement that began with William Miller in 1833. William Miller was a Baptist lay preacher that believed, through his studies of the Book of Daniel, and his use of the Karaite Jewish calendar, that Yeshua (Jesus) would return between 1843-1844. However, this prediction did not come true. Therefore, according to scripture this classifies Miller as a false prophet. Jumping on the Millerite bandwagon was former Methodist preacher George Storrs. Storrs resigned from the Methodist church in 1840 to join William Miller’s so called end time movement and became a leader in the movement. While William Miller pushed his belief that Yeshua (Jesus) was returning between 1843-44, it was George Storrs who pushed his belief in soul sleep among the Millerites, which he developed by his personal revelation of the scriptures. The Millerites quickly adopted Storrs soul sleep beliefs along with a denial of a literal hell. The Millerite movement gathered a large following until 1844 came and gone like any other year, thus proving the Miller prediction of 1843-1844 being the period of the Second Coming a false prediction. When the Miller prediction did not occur, many of the Millerite leaders and followers were left generally bewildered and disillusioned. Some even returned back to their former churches. This event is known as the “Great Disappointment”. In order to take advantage of these disappointed Millerites, many groups branched off to form their own movement based on similar Millerite beliefs, or added a new spin to the Miller prediction. Even long after the 1844 Great disappointment, several 20th century movements admit they were influenced by Millerite teachings. Many of these groups that came out from or were influenced by Millerite teachings are categorized as cults, such as: Jehovah’s Witnesses, Bahai Faith, sacred name groups, World Wide Church of God, Christadelphians, and fringe Adventist groups. The errors of the Millerite movement cannot produce good fruit, which is why so many religious groups that follow the Millerite doctrines are plagued with bad fruit and false teachings. Among this bad fruit is the doctrines of soul sleep, denial of hell and annihilationism. Others go further and blend soul sleep with the error of universal reconciliation (everyone will be saved). The bottom line is that the teachings of soul sleep are scriptural errors invented by false prophets. 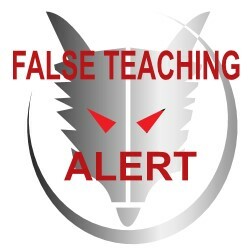 Many who are caught up in these false teachings from the Millerites will often adopt even more errors or plunge into complete heresy unless they are refuted by the truth. What does it mean when the bible says “they were gathered to their fathers”, or “gathered to their people”? It cannot mean they were buried together, because all of those we previously mentioned above weren’t buried together. It also can’t refer to their burial, because their death (giving up the spirit), being gathered to their fathers and their actual burial are listed as different events. Like the soul sleepers today, the Sadducees lacked understanding of the scriptures. The Sadducees believed when a person dies then they cease to exist. They denied man had a spirit that lived on after death; they denied a resurrection of the body and did not believe in angels. However, Yeshua corrected their false beliefs by pointing to the scriptures which state God is not the God of the dead, but of the living (present tense), which means the dead are alive not asleep. Yeshua taught that the righteous dead were gathered to a place called Abraham’s Bosom, which is also known as “paradise” (Luke 16:19-31). This is most likely what is meant when the scriptures state “and they were gathered to their fathers.” Yeshua never stated this account in Luke chapter 16 was a parable, so we cannot dismiss it as a fable or untruthful. We can also see by his teaching that there is a literal hell and there are additional scriptures that confirm the teaching of Yeshua found in Luke 16:19-3, that proves there is a gathering place for the righteous. Therefore, we have a place for the unrighteous spirits/souls of the dead and a place for the righteous. How can the so called sleeping souls join with the congregation of the dead? They can only do so if they are fully awake and alive. Some versions call this place the assembly of the dead, or the company of the dead. The "shades" are sprits (ghosts) of the dead that go to the “Nether-world”? Does that sound like soul sleep? I think not. How can the mighty speak in the midst of hell to welcome the new arrivals if their soul is asleep? These scriptures prove the dead do not sleep, which exactly lines up with the teachings of Yeshua. We already viewed scripture which showed the Old Testament saints “gave up the spirit” and died, which indicates the spirit/soul of the person left the body. These scriptures alone refute the soul sleep doctrine, which believes the soul stays with the body and goes to sleep. Here are additional scriptures which show the soul and spirit of a person leaves the body at death and does not stay with the body asleep. “He stretched himself on the child three times, and cried to Yahweh, and said, ‘Yahweh my God, please let this child's soul come into him again’. Yahweh listened to the voice of Elijah; and the soul of the child came into him again, and he revived." 1 Kings 17:21-22 - Wait!! How can a child's soul come back into the body again if the soul is asleep with the body? Where did the soul go? This shoots holes in the soul sleep doctrine. “Her spirit returned, and she rose up immediately. He commanded that something be given to her to eat.” Luke 8:55 - here again we see the spirit returning back to the body, which refutes the soul sleep doctrine. “We are courageous, I say, and are willing rather to be absent from the body, and to be at home with the Lord.” 2 Corinthians 5:8 - Paul said a separation from the body means a believer will be present with Yeshua. Yeshua also died in the flesh, but his spirit and soul lived on after death. His soul did not sleep in the grave. Something happens to the soul and spirit after the death of the body and after it departs from the body. In the previous section it said the soul and spirit went to the "nether-world" and the Apostle Paul said the believers go Yeshua. This overturns the false soul sleep explanation of sleep after death. The Soul Sleep doctrine is wrong about the human spirit. Soul sleepers claim that the spirit that departs from the body is just God’s breath but is not part of the person. They claim the human spirit is some unknown entity that God breathed into mankind to produce life. However, this belief is not scriptural. The human spirit is just as much a part of a person as are the soul and body of the person. The spirit of men and women belong to them and make up who they are. If the human spirit was not part of the person, but just a breath from God that animates the body as the soul sleeper’s claim, then why did the Apostle Paul say the following? God cannot be defiled, therefore the spirit mentioned her has to be the spirit of a person. Here are even more scriptures that prove that a human spirit is part of the person and belongs to the person. The book of Hebrews teaches that the human soul and spirit are two different things and so does the Prophet Isaiah. As we can see a complete person is made up of their spirit, their soul and their body. Therefore, when we see scriptures that show a person’s spirit and soul departing from their body and went to another place, then we cannot honestly validate soul sleep as a legitimate scriptural teaching. When the scriptures speak of a dead person who is asleep, this is only referring to the body, which appears to be asleep. The spirit and soul of the person never sleeps, but remains alive and aware long after death. “But you have come to Mount Zion, and to the city of the living God, the heavenly Jerusalem, and to innumerable multitudes of angels, to the general assembly and assembly of the firstborn who are enrolled in heaven, to God the Judge of all, to the spirits of just men made perfect…” Hebrews 12:23 --NOTE: "the spirits of just men made perfect" CLEARLY THESE SPIRITS ARE NOT SLEEPING. “Therefore let us also, seeing we are surrounded by so great a cloud of witnesses, lay aside every weight and the sin which so easily entangles us, and let us run with patience the race that is set before us” Hebrews 12:1 - A cloud of witnesses that surround us and view our journey of faith from heavens. How could we be surrounded by the witness of past saints and the spirits of just men made perfect (Hebrews 12:23) if they are all asleep in their graves? How could Moses who has died, appear before Yeshua (Matthew 17:3) if Moses was asleep in his grave? If Yeshua brings back the dead with him then that must mean they are with him now (1 Thessalonians 4:14). What are these dead with Yeshua doing? Coming for their resurrected bodies that are in the grave. We have seen the ancient saints giving up the spirit and being gathered to their fathers. We also see that the scriptures teach a gathering of souls in a nether-world according to the Jewish translation of the scriptures. Over and over again we see scriptural teachings that confirm the soul and spirit depart from the body and live on immediately after death. We can go into much more detail about this subject, but we believe the facts as stated above make it clear that soul sleep is not supported by scripture and should be rejected and never considered a legitimate biblical teaching. Soul sleep is a teaching that began with a movement that made false predictions about the second coming, which the scriptures classify as a false prophet. This movement also gave birth to many cults that continue to embrace the soul sleep doctrine. What About An Explanation For The Scriptures In The First Section??? Okay, Let's Explain Them For You. Explanation: Daniel 12:2 and 13 - This is talking about the resurrection of the dead. The bodies are dead (asleep) in the graves, and one day the righteous will return back to their bodies (1 Thessalonians 4:14) and be resurrected to everlasting life (first resurrection) while the wicked will be resurrected in the second resurrection to damnation (Revelations chapter 20). Explanation: After death most of the dead are forgotten by those on the earth "Memory of them is forgotten." The dead have no more opportunity to change their course, or to build up eternal rewards "neither have they any more rewards." The dead in hell no nothing about the affairs of the earth. The righteous dead may not know everything about the affairs of the earth, but only what they are shown by Yahweh. This passage does not mean the dead are sleeping. Hell Gives up the dead - These are the souls and spirits of the wicked dead. The corpse and the spirit/soul are united together as one and now facing judgment for their ultimate damnation in the Lake of fire. Death is real, hell is real, heaven is real and eternal punishment is real. 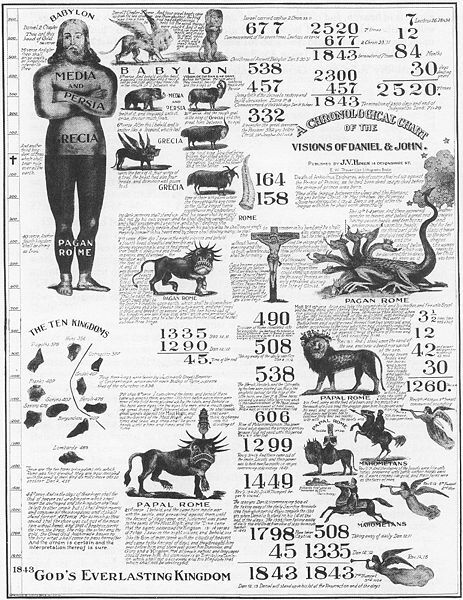 -- Look at Revelation 20:10 "The devil who deceived them was thrown into the lake of fire and sulfur, where the beast and the false prophet are also. They will be tormented day and night forever and ever." Even after a 1,000 years we can see the false prophet and the beast are still suffering torment in the Lake of Fire. This is one more thing the soul-sleepers get wrong when they teach those in the Lake of Fire will be completely burned up and never exist. If it's true what they say, then why would it take a 1,000 years for the beast and false prophet (humans) to be burned to nothing? The simple answer is that the soul sleep doctrines has it wrong in all areas. Their doctrine began from false teachings and false teachers and this false teaching continues to be perpetuated by many groups who lack understanding about the scriptures. Our warning to you is to stay away from this teaching or anyone who teaches it. It will open you up to other false teachings and heresy. The soul sleep doctrine is not supported by scripture. Therefore, it is a false teaching.